By the end of the 19th century the world would become nearly as globalised in trading as it would be by the end of the 20th century. In terms of trading policies probably the world might have been even more globalised than it is now, this is because of the core and periphery relationship being firmly established around the world due to large scale imperialism. These globalising factors together with the increasing use of steam ships, railways, construction of better road and increasing number of bridges to support the railway and the road systems and use of telegraph lines, reduced transportation cost, increased speed of transportation, and there was also increased speed of communication. These changes in the 19th century significantly impacted the markets of the world due to their integrative tendencies. The markets responded quite positively and more things were being traded in the world in the 19th century than ever before, as evidenced by the increasing number of heavier ships being built, and the reduced amount of time being spent by ships in the ports and harbours. All these changes created a trading revolution, which was characterised by increased and faster movement of tradable goods and more efficient price negotiation of these goods. Nothing could have been better for the agricultural sector at this juncture than when all the above factors came together because for most of the agricultural goods the usability period is not very long. The two factors of very high transportation costs and very high communication costs which implicitly means low access to the market were some of the major reasons why most of the farmers before the 19th century in many peripheral regions in the world were concerned only with subsistence agriculture. With the increased expansion of the market there were increasing changes in the institutions influencing agriculture and different countries followed their own methods to deal with it. In this essay I am using the examples of Japan and India to show how the institutions and institutional changes played a major role in these two countries in creating market oriented farmers. Finally in the concluding section I would endeavour to show how different institutions played their roles in these two respective economies. While talking about 19th century Japan we are essentially talking about two very different kinds of governments and sets of institutions ruling the country. The basic difference between these two governments while discussing agriculture is that the Japanese government in the first part of the 19th century was very feudalistic while the Japanese government in the second half of the 19th century was hostile to the feudal elements, at least in relation to agriculture. These two forms of governments were the Tokugawa Shogunate of the first part of the 19th century and the Meiji Government in the last quarter of the 19th century. Under the Shogunate government Japan had an integrated market system. This was due to two main factors – the sankin kotai system or the requirement to have an alternate residence in Edo for all the feudal lords and the castle towns system where the samurai warriors were housed. On one hand Edo became the consumerist capital of Japan with its big upper/ruling class population and on the other hand the castle towns had a very flourishing market system to sustain itself. Japan had a merchant class, who amongst other things also traded in agricultural goods; they would have traded the goods from the daimyos(feudal lords) in exchange for currency and the daimyos usually would acquire the goods chiefly by taxing the peasants. 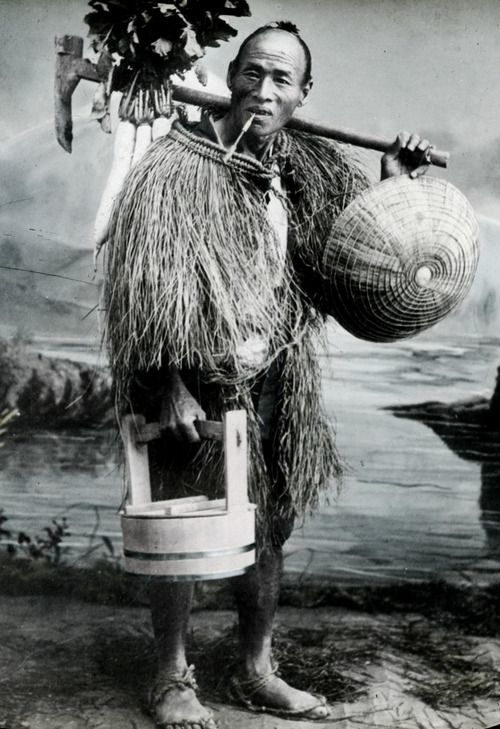 The taxes on the peasants were very heavy, much heavier than can be found in India or in China and the power exercised by the daimyos over the peasants’ life and property was almost absolute. The peasant never owes any land because it was prohibited by law, all the land belonged to the daimyos. Thus, the participation of the peasants was very limited in the market system because it was too risky and costly. This system was necessarily accompanied by a high monitoring cost and the very high exit costs out of Japan caused by the geography of Japan and the Japanese seclusion policies. This kind of picture postcard scene of feudalism was given a rude awakening by a world witnessing an explosion in the energy being emitted by the, market forces. Then there is the brief period of tremendous turmoil in the Japanese society and what emerges after the dust had settled is a very new set of ideas which revolutionised the Japanese society, this period is called- the Meiji Restoration. Serious policy alterations were made which had repercussions in the every aspect of Japanese life including agriculture. The feudal system with the exalted position of the daimyos and the samurais were dismantled and land was given to the farmer, thus they were no longer under share cropping contracts with the daimyos and were in possession of much greater property rights than before. What also came along with this was the direct taxation system, and to add to the farmers’ worry the requirement to pay it by cash. As Richard Smethurst says, the tax burden on the farmers definitely reduced, and now they were forced to use the market to sell its goods and to get cash to pay their taxes. The farmers would also sometimes borrow money to pay their taxes, what this created was an entire financial system based on the land market, because now land was an exchangeable commodity. Thus there were many cases of money lenders taking over the entire or a part of the land of the peasants. This gave rise to landlordism and tenancy, by the end of the 19th century, about 30% of the total arable land of Japan was under the landlords. But this landlord system did not last long because the new Japanese Meiji government was always hostile to this system. There were also many efforts to improve agricultural output by improving the Japanese know how about agriculture. This was achieved by investing more on agricultural sciences. These efforts manifested in supplying the Japanese farmers with better seeds and fertilizers. Quite a significant amount of land was also reclaimed during the Meiji Restoration. All these led to the dramatic increase in the total produce of the Japanese farmers and also increased his yield per hectare. Moreover, there was the boom in the Japanese transportation and communication sectors like in the fields of railways and telegraphs. The road transport of Japan was also improved to a large extent. All these factors led to the growth of the market. A wave of industrialisation took over Japan and increasing amounts of people started to move from the agricultural sector to the industrial sector and we see the emergence of the duality of the Japanese economy, where the agricultural and the industrial sectors are complimenting each other. But still, industrialisation did not take away the prominence that its agricultural goods had over Japanese exports. One important fact which needs mention here is the role of the state. The state played a very active role in the growth of Japanese economy, especially in agriculture and infrastructure. All these factors combined to make Japan one of the biggest players in the international agricultural market by the end of the 19th century. During this period Japan experienced intensive as well as extensive growth. It also saw a gradual increase in the fertility rate (Ryoshin 1994). A few thousand miles away from Japan, in India, the agricultural sector was coming into terms with the rapid changes which were mostly led by market forces. The role that the market forces played in the 19th century could probably be understood when we realise that by the first two decades of the 19th century most of India was under the control of a merchant company, the East India Company. This is a period when Indian agriculture experienced deep and extensive changes. The most important institutional change that took place was in terms of the land revenue system. These revenue systems were not first implemented in the 19th century but it was in the first half of the 19th century that these revenue systems came to be implemented in almost the entire sub-continent. 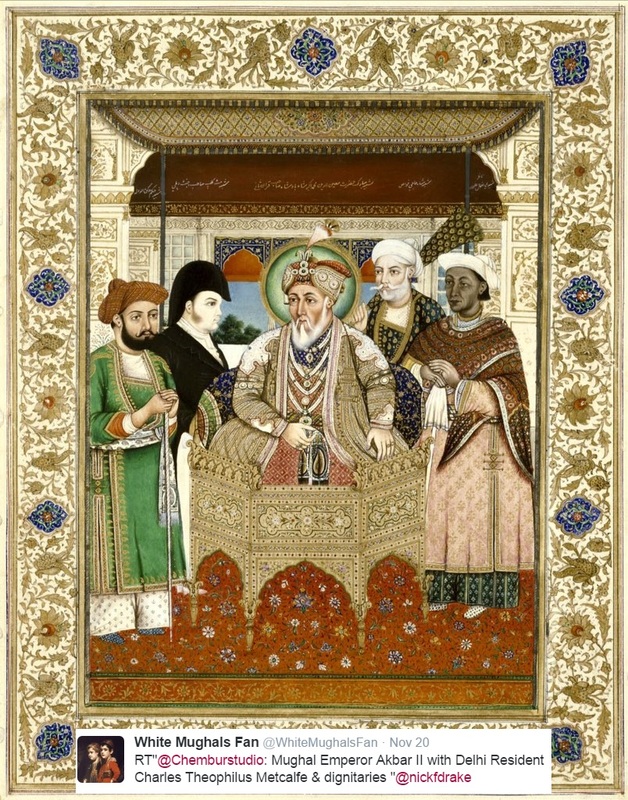 This new system could be divided into two main types- The zamindari system, which was like the European landlord system where the peasants paid the landlords the revenue and the landlord would usually give 9/10th of it to the government and keep the remaining to themselves and the other system being the ryotwari system or individual peasant proprietorship in which the owner of the land was responsible for the payment of the revenue. The important change which this form of revenue system brought was the commodification of land resources, which did not exist in any significant measure in the pre-colonial times, and now land could be bought and sold in the market like any other commodity. Now, unlike the previous period, the revenue was to be paid in cash,this increased the demand for currency. Another very important change which took place during this time and which would be having a tremendous effect on Indian agriculture was the centralisation of the administration and this is also linked with the availability of the cash, because with centralisation there came the uniformity of the currency too which made the regional currency meaningless. With the onset of the British overlordship of India, the Indian economy was attached to the British economy and thus it was vulnerable to the changes in the London stock exchange, and the international market. Moreover India was turned into a exporter of raw materials and consumer of manufactured goods, from being an exporter of manufactured goods. 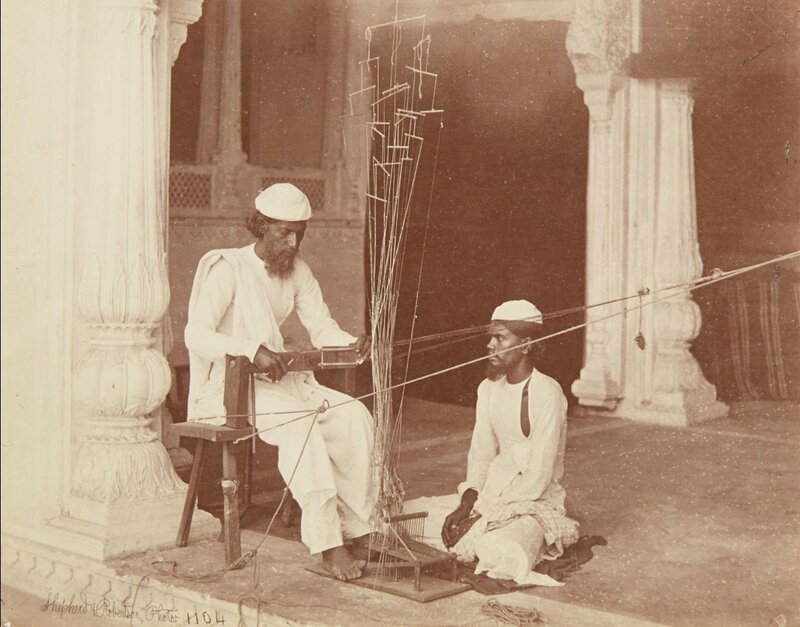 A lot of the exported goods used to be handicrafts, but this industry was destroyed by the machine produced and cheaper British imports and heavy import duties on the Indian exports. These factors led to the depleting inflow of bullion into India. This was one of the main reasons for a prolonged depression period, which existed till the middle of the 19th century. The other significant reasons being the fading away of the old ruling class and village communities which used to consume the manufactured goods of the Indian peasants and used to invest in things like irrigation and maintaining embankments (A.R. Desai 1959). It was in the second half of the 19th century that the depression started to ease out. The government reduced the revenue and improved its coercive methods. There was increase in the bullion flow into the country, one of the reasons being the increasing market for the Indian cotton as a result of the American Civil war. The increased bullion flow into India also stimulated the credit market and created a whole new class of creditors. There was also an attempt to improve the flow of bullion by opening up mints; the government invited anyone willing to convert bullion into coins. These mints were open till 1893. The enormous investment into Indian railway also helped in the inflow of bullion. The railways also played a role in the stabilising of the prices by transporting the goods from place to place at a pace unknown to an earlier period. Markets started to grow around the important railway junctions. The signs of depression also faded away and by the last quarter of the 19th century the prices started to increase and stabilise (Chaudhuri, 2008). In this half of the 19th century we see a rise in the amount of land being pressed into agriculture. We also observe the increasing commercialization of not only the cash crops(the demand for which was mostly stimulated by the foreign market) but also food crops as the peasants turned to the market to exchange their produce to pay their taxes, dues and to sustain themselves. But the growth of agriculture in the second half of the 19th century was mostly extensive growth. It did not lead to any significant improvement in the living standards of the peasants or in their income or in their yield levels (T. Roy, 2000). As B.B. Chaudhuri has said there were too many breaks and irregularities such as famines and wars and the Indian population did not recover till the 1920s from them. One important point to observe in this essay is the requirement of an approach which takes into consideration different theories of developmental institutional economics and points out the importance of understanding governmental motives. Pranab Bardhan divides these theories into two schools, one led by Coase and the other by Stiglitz. Coase talks about the inevitability of the factor of command in the economy, because the resource allocation is not exclusively done by market agreements but concluded in the market by command. Coase’s transaction costs, includes 3 costs, the information, negotiation and enforcement costs. This theory can be applied to the Indian case, first and foremost we must remember that India was a British colony, the resource allocation was usually by command, and here we can include Stiglitz’s theory about the limits that the governments/state would reach as a result of misinformation caused by the misunderstanding of institutions, it explains the lack of intensive growth due to agriculture because this misinformation results in increasing the transaction costs mentioned in Coase’s theory. Meanwhile in the case of Japan in the 19th century, we find the brighter side of Coase’s and Stiglitz’s theory working. In the beginning of the 19th century the transaction costs are very high because of the misinformed government allocating resources by command, then in the last quarter of the century we see the reduction in information, negotiation and enforcement cost as a result of the spread of proper information and changes in the basics of the institutions. But the government still plays a major role in the growth of Japan, so as to see that the “command” is not totally negated but meets Stiglitz’s requirement for centralisation of implementation (Stiglitz 1989). Thus we have realised that a mix of command and correct information about the institutions is required for a long term intensive and extensive growth. But even after achieving this, our understanding of the agricultural situation in the 19th century will remain incomplete if there is a misinformation about the government. Due to the large scale existence of colonies in that century we urgently need to stress on proper information being spread about the motives of the governments, without which the understanding of its action and functions would remain incomplete. Nakamura, James I. Agricultural production and the economic development of Japan, 1873-1922 (1966). Sheldon, Charles David. The rise of the merchant class in Tokugawa Japan, 1600-1868: an introductory survey (1973). Vlastos, Stephen. Peasant protests and uprisings in Tokugawa Japan, (1986). Smethurst, Richard. “Agricultural Development and Tenancy Disputes in Japan, 1870-1940” (1986). Coase, Ronald H., The Nature of the Firm. Economica. 1937. Stiglitz, Joseph E., Rational Peasants, Efficient Institutions, and a Theory of Rural organization: Methodological Remarks for Development Economics. 1989. Bagchi, Amiya Kumar. The political economy of underdevelopment. Cambridge: Cambridge University Press, 1982. Bardhan, Pranab K. “Alternative Approaches to the Theory of Institutions in Economic Development”. In The economic theory of agrarian institutions. Oxford: Clarendon, 1989. 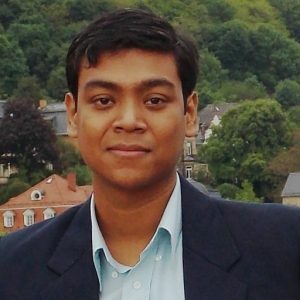 Chaudhuri, B. B. Peasant history of late pre-colonial and colonial India. New Delhi: Pearson Longman, an imprint of Pearson Education 2008. Landes, David S. The wealth and poverty of nations: why some are so rich and some so poor. London: W. W. Norton & Company, 1998. Minami, Ryōshin. The economic development of Japan: a quantitative study. Basingstoke: Macmillan, 1986. Nakamura, James I. Agricultural production and the economic development of Japan, 1873-1922. Princeton, N.J., Princeton University Press, 1966. North, Douglass. “Ocean Freight Rates and Economic Development 1750-1913”. The Journal of Economic History. Vol.18, no.4 (Dec. 1958): 537-555. Roy, Tirthankar. The economic history of India, 1857-1947. New Delhi, Oxford: Oxford University Press, 2000. Sheldon, Charles David. The rise of the merchant class in Tokugawa Japan, 1600-1868: an introductory survey. New York: Augustin, 1958. Smethurst, Richard J. Agricultural development and tenancy disputes in Japan, 1870-1940. Princeton, N.J. : Princeton University Press, 1986. Stiglitz, Joseph E. Rational Peasants, Efficient Institutions, and a Theory of Rural organization: Methodological Remarks for Development Economics. In The economic theory of agrarian institutions. Oxford: Clarendon, 1989. Vlastos, Stephen. 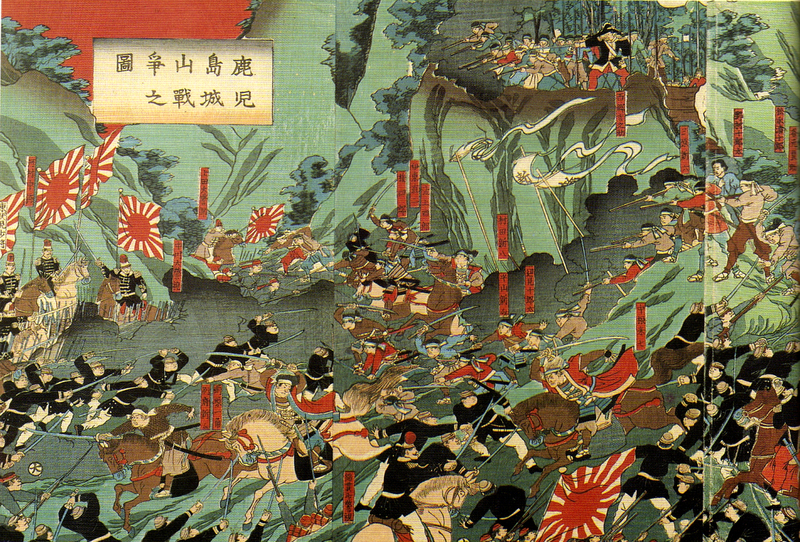 Peasant protests and uprisings in Tokugawa Japan. Berkeley : University of California Press, 1986. Waswo, Ann. Japanese landlords: the decline of a rural elite. Berkeley; University of California Press, 1977. Previous Is the Taj Mahal really a Converted Shiv Temple?